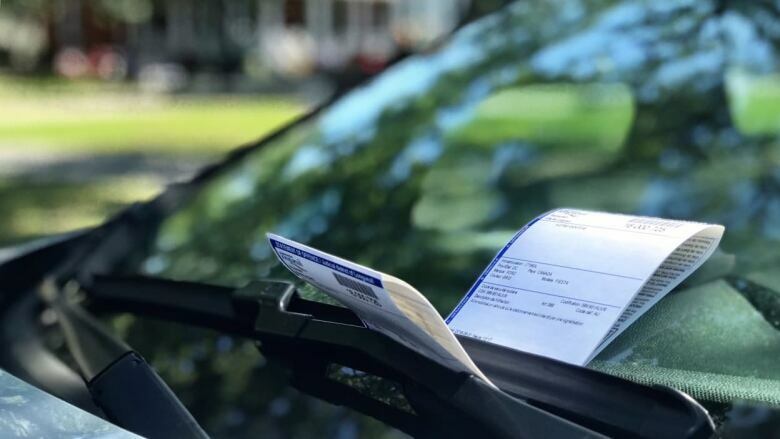 Motorists in many Quebec municipalities have been alarmed by the fines they've received for parking tickets since the rates went up from between $30 and $60 to between $100 and $200 last spring. Quebec's transport minister, André Fortin, has suspended a contentious fine increase that saw motorists in many municipalities across the province forced to pay penalties as high as $200 for a parking infraction. The measure, announced Monday, suspends the higher fines drivers had to pay for stopping their vehicles "in a place where parking is prohibited by a sign." The increase, passed in the spring, saw fines increase from between $30 and $60 to between $100 and $200. With the ministerial directive, fines revert to the $30 to $60 amount. For Sébastien St-François, there's no reason Quebec drivers should ever have faced such stiff fines in the first place. The Longueuil business owner was recently slapped with a $169 fine for parking his car on a side of the street where it was prohibited to do so, near his office. "Listen, $169 for a parking ticket is absolutely abusive," St-François said. Speaking to CBC News after the suspension was announced, St-François said he hadn't yet heard about the ministerial directive — but it makes sense. "When I saw the amount [of the ticket], I was taken aback. I was like, 'What is this?' It's extortion," he said. St-François said he still plans to contest his ticket, however, even if the fine's been reduced. He said he was forced to park on the street that day because he couldn't access the entrance to the private parking lot he pays for at work due to construction.